And so ends another college football season with the Clemson Tigers getting that 35 year old monkey off their back by proving Nick Saban was a mere mortal after all. It was a wild weekend in Tampa, the game’s host city, with countless fans from both schools draining every local bar of their whiskey supply. If you ask most fans, even the ‘Bama fans in defeat, I think they’ll tell you they had a good time in my town. If nothing else, Tampa knows how to throw a party. I mean, we dress as pirates one month out of the year just for the hell of it. 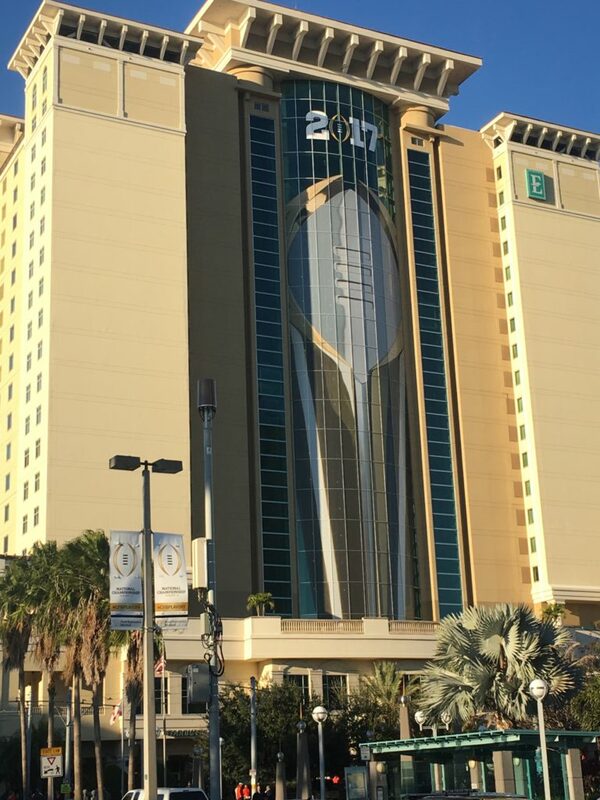 Considering the college football powers that be decided to host the big game in my own back yard, what kind of sports blogger would I be if I didn’t take the time to share the sights and sounds of championship weekend? I skipped attending the game in person because a) I had to work and b) getting into the stadium cost just shy of two grand. 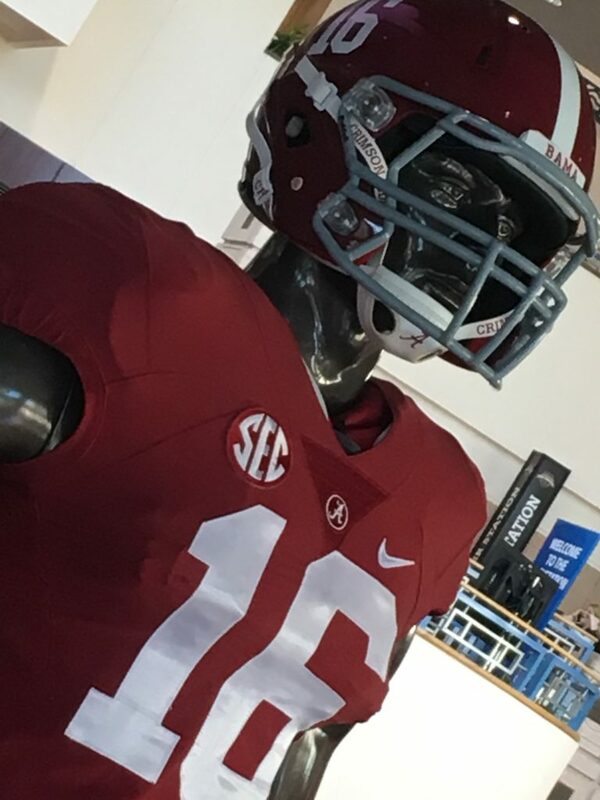 With two huge, fan bases from southern schools with rich football traditions, tickets were in high demand. 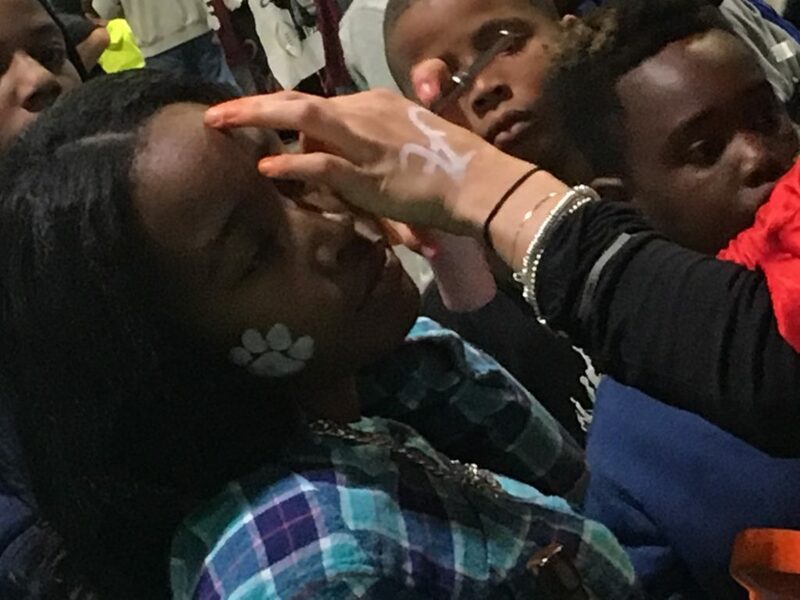 Plus Clemson fans had a feeling this one was going to be special. 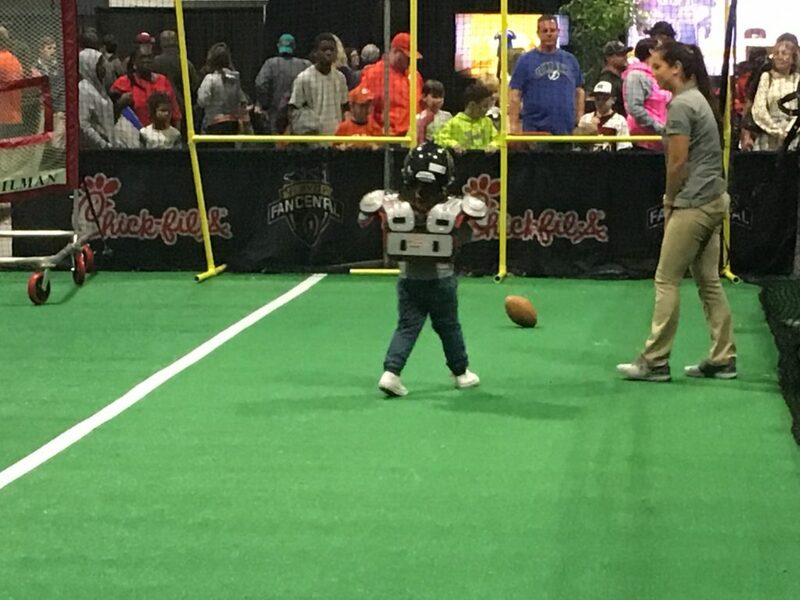 But the game wasn’t the only thing going on in Tampa this weekend. The down-to-the-wire thriller was just the icing on the cake. As with any major sports spectacle, college football euphoria took over the town with propaganda and paraphernalia as far as the eye could see and wallet could spend. 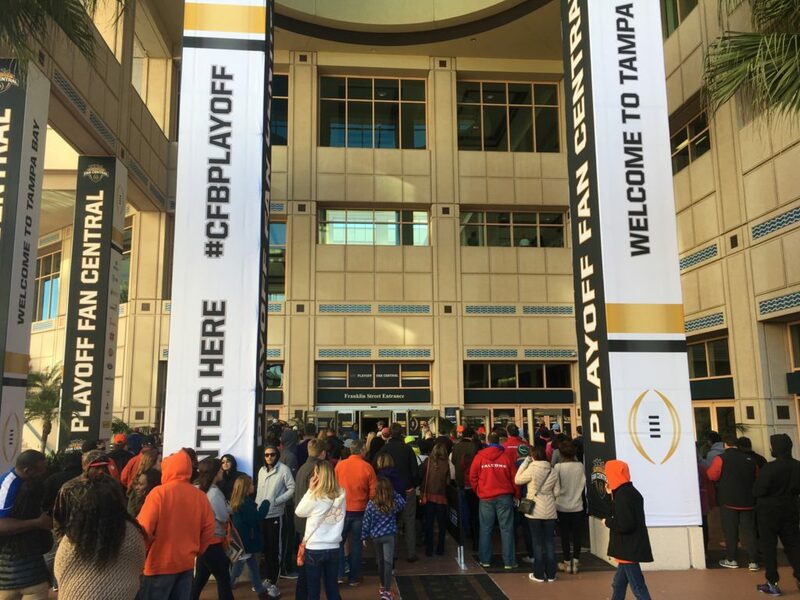 The day before the big game, I decided to brave the elements and head towards the Tampa Convention Center where all the festivities were taking place. It was Playoff Fan Central 2017 and I was not going to be left out in the cold. So what did I find as soon as I parked my car and headed into the complex? 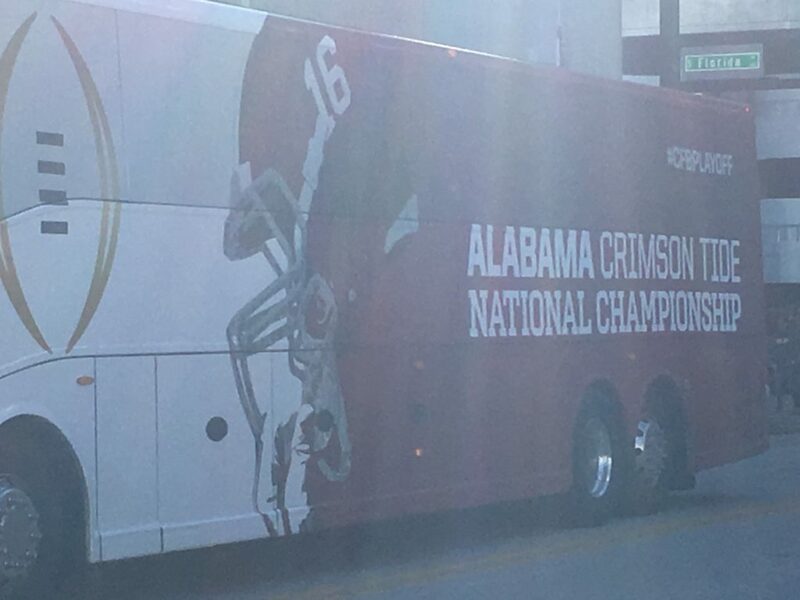 The Alabama team headed somewhere on their fancy team buses, surrounded by a police motorcade that would have made the commander-in-chief blush. 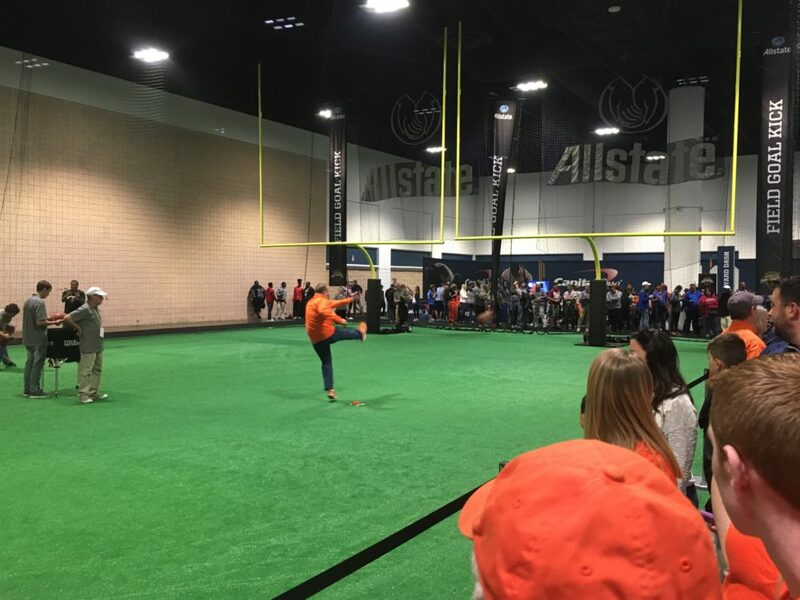 Then it was off to the Fan Fest with a long line at the door and an even longer one at the ticket gate. Ten bucks to get in, cheaper of course for children. It turns out the NCAA has a conscience after all. I guess they figure they’ll profit off those kids eventually. 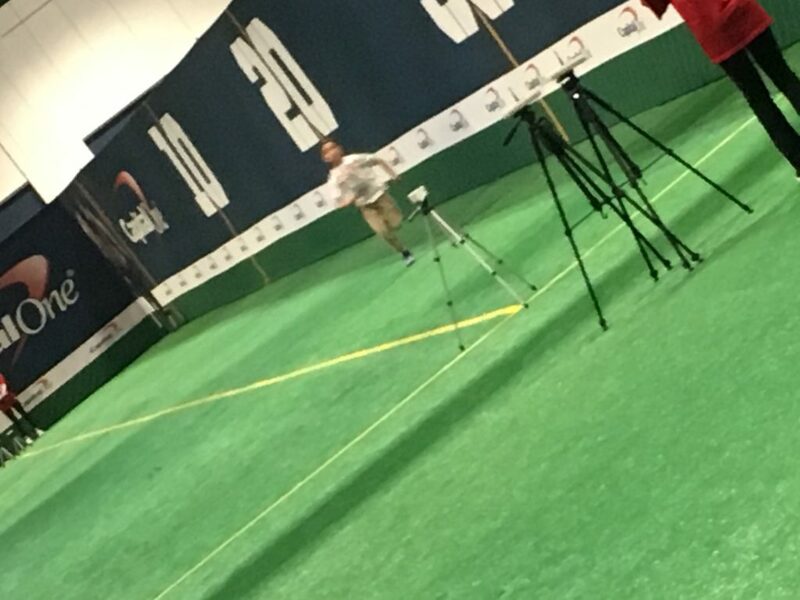 It was the day before the big game and you could definitely feel the anticipation. 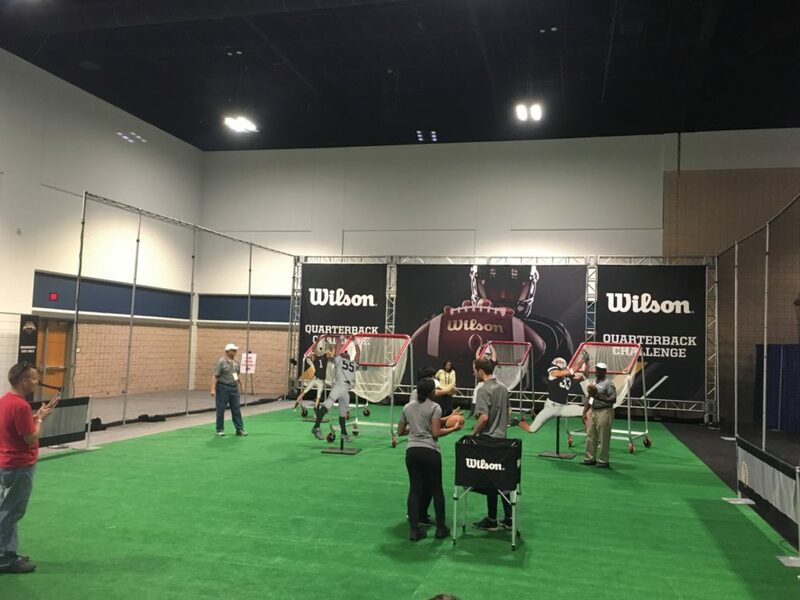 The weekend long event catered to kids both big and small. 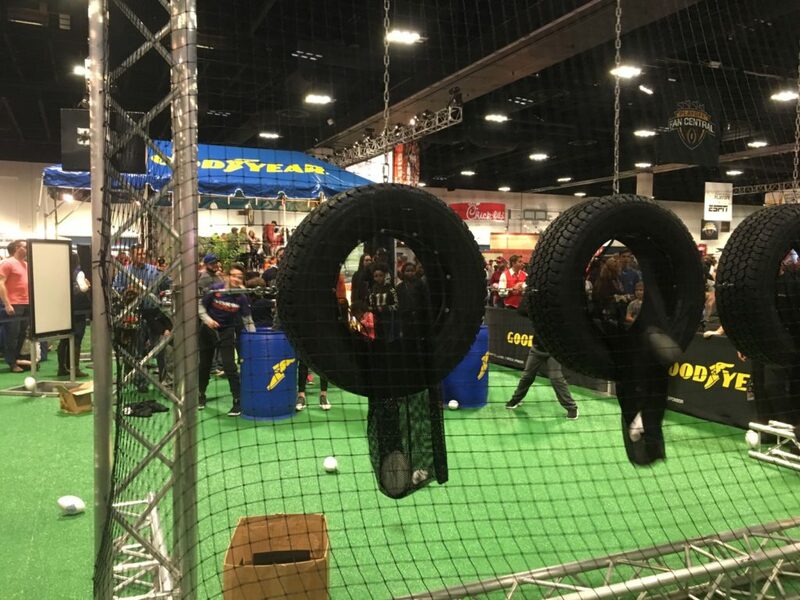 There was face-painting, football tossing for speed, accuracy and distance, field goal kicking for both kids and adults, forty-yard dash times, Chick-Fil-A cows and Dr. Pepper RVs. 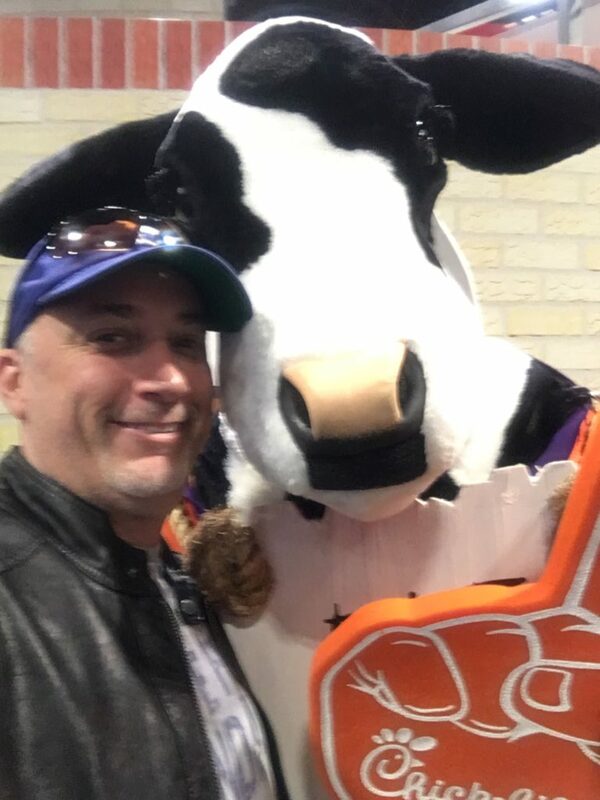 I apparently just missed the Dr. Pepper guy but did manage to get my picture taken with the Chick-Fil-A Cow, which is not the first time I’ve run into him. This cow gets around. And then of course, there was the Heisman Trophy. 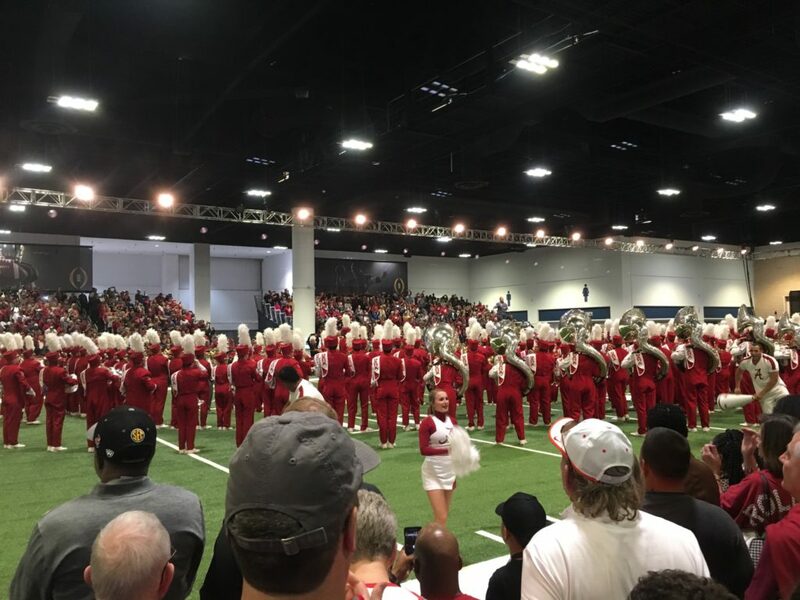 I also happened to catch the Alabama marching band as they put on a show for the crowd (maybe THAT’S who was in those buses). 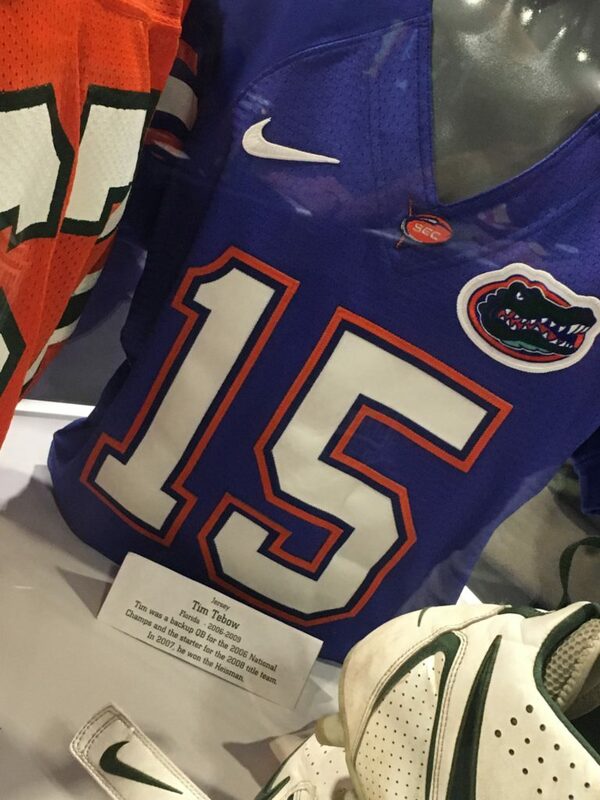 And no college fan fest pictorial could be complete for this Gator homer without a game-worn Tim Tebow jersey, cautiously encased in glass so nobody could drool over it. 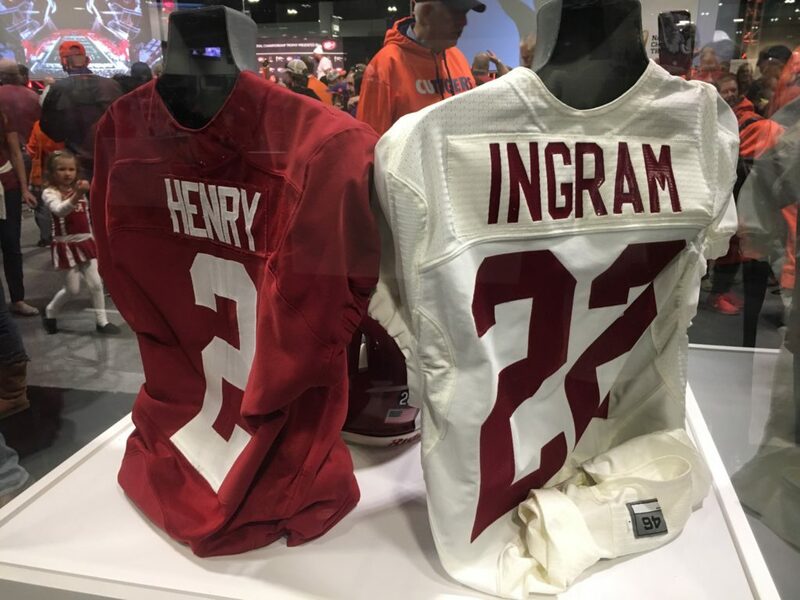 Derrick Henry’s and Mark Ingram’s title games jerseys also made an appearance. 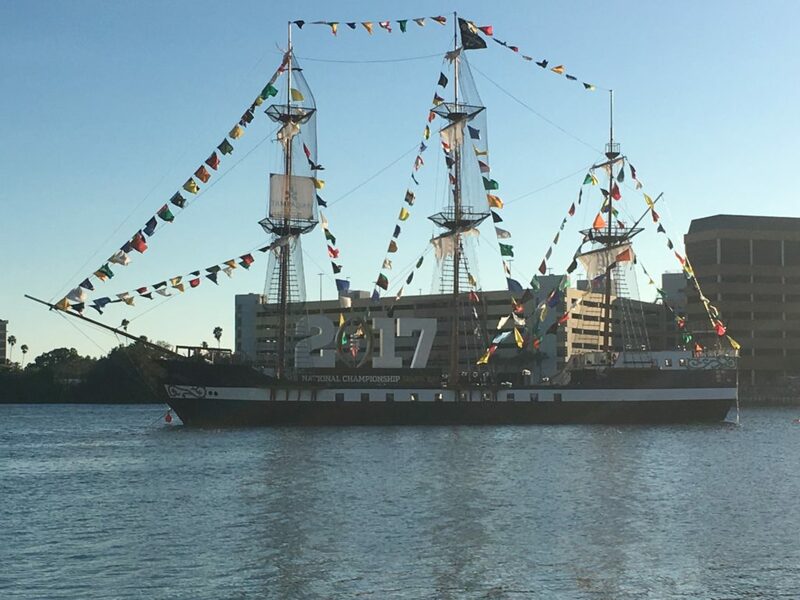 Right outside the convention center, the bay area pirate ship set sail all decked out with championship swag. I told you we liked to dress up as pirates. All in all, the town put on a great party and already has their bid in for another big game. Here’s hoping we get it. We’ll start stocking up on the whiskey just in case. 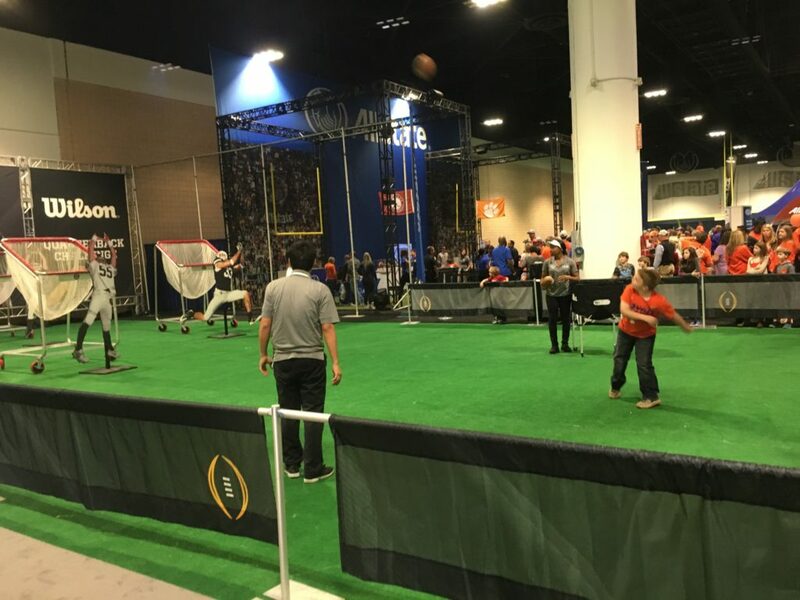 This entry was posted in Featured, Life of Sports Chump, Pigskin and tagged Alabama Crimson Tide, Chick-Fil-A, Clemson, College Football, Derrick Henry, Dr. Pepper, Mark Ingram, Nick Saban, Tim Tebow by Chris Humpherys. Bookmark the permalink. 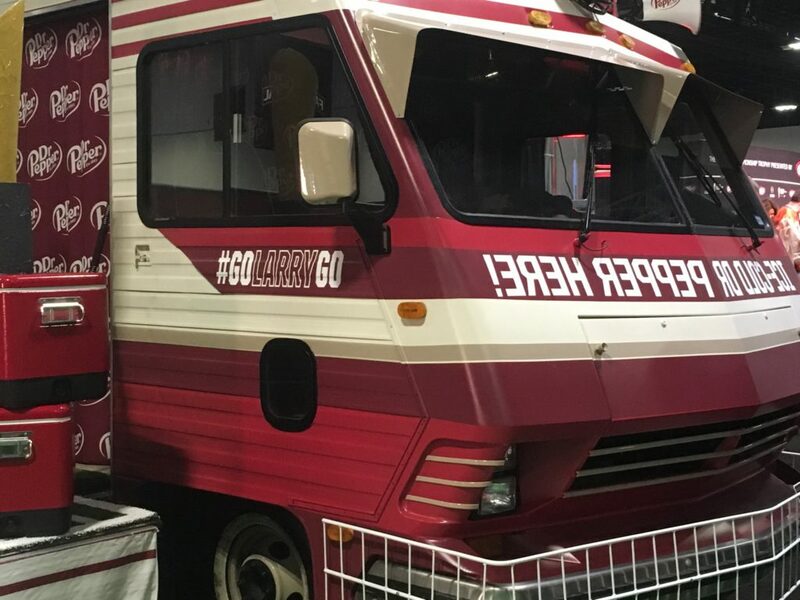 The wheels on the bus go round and round and round and round. Not through this game as far as the Tide were concerned. DeShaun Watson just punched his ticket to the big-time with performance in the national title game. 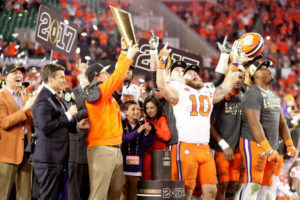 With two national championship appearances and one national title, is it worth trying to figure out where Watson ranks among the list of all-time great college quarterbacks? Or should we not bother with all that nonsense? Here’s a better question: How many of the dipshits who voted for Lamar Jackson for the Heisman in November realize how badly they screwed up? Watson was the clear choice even then, and it gets even clearer if you compare Jackson’s last three games to Watson’s. 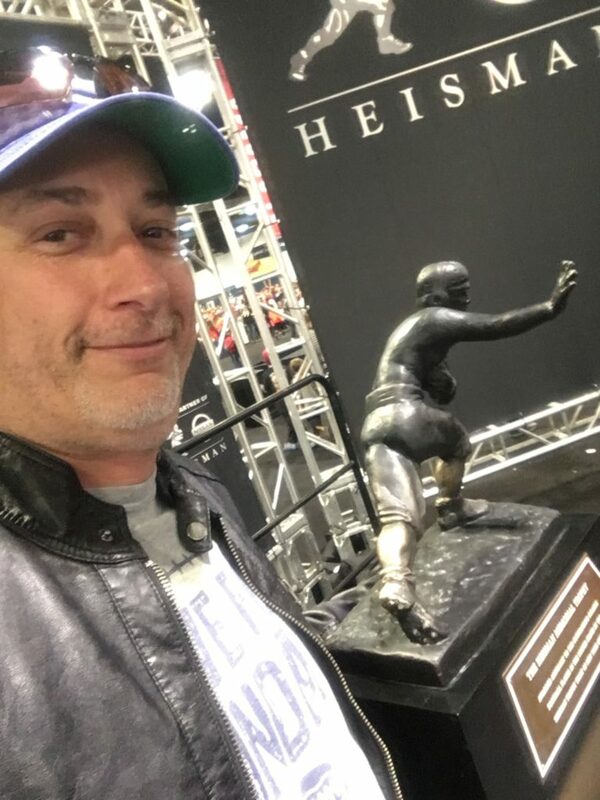 You and I both know the Heisman Trophy is rarely awarded to the best player in the nation. No word as to how many Gators were on the editorial staff of this book but at least they were on the same page as you on numbers one and two. 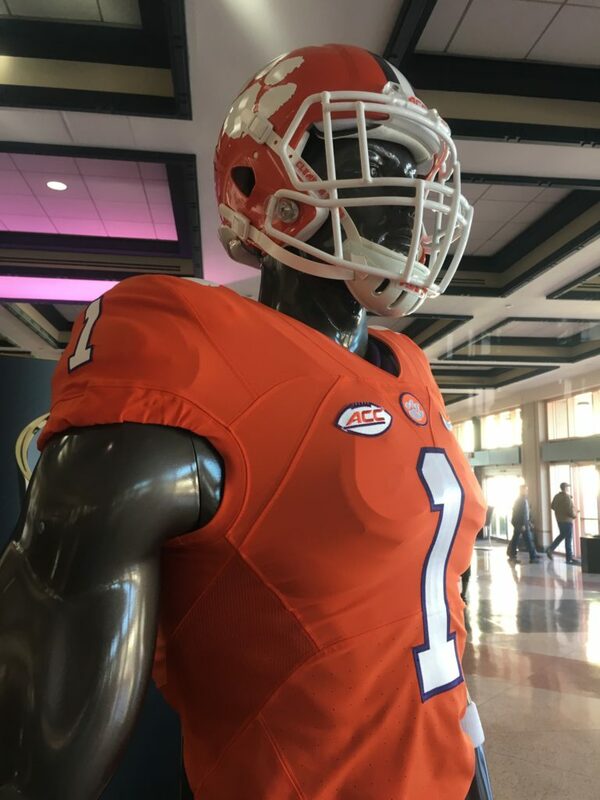 I wonder if Clemson will take another three decades or so to get back in this position. I think not. I believe they will hang in the upper echelon from now on. The Chick Cow DOES get around because he was in our area at about the same exact time period. You don’t think there’s more than one? For sure they only give out one Heisman each year and it usually goes to the guy most likely to never be any good past college. If you look at it that way they got it right this season. Great pics and it looks like it was a great time as well. Yea, Burnsy, I think Sweeney has established himself as a top notch coach, one that kids will want to go play for. Once you get that title under your belt, I would have to think recruiting would come a lot easier. So at a minimum, they’ll contend. Although as they say, winning your second ain’t easy.